In December 2017, when bitcoin was at its all time high, the cryptocurrency looked invincible — prices had soared 20x in a year, it was all over mainstream media, and companies were falling over each other to begin accepting the exciting new method of payment. But just four months later, things are markedly different. Several of bitcoin’s early adopters no longer accept the cryptocurrency. It’s because of a combination of reasons — bitcoin’s exceptionally volatile, which means its value can change at dizzying speed; it can often have high transaction fees, which can make it nonviable for large transactions, and transactions can often take long times to materialize. Here’s a list of companies that were once accepting bitcoin, but are no longer on the bitcoin bandwagon. 2.Microsoft: Microsoft had been one of the earliest champions of bitcoin, and had started accepting bitcoin payments as early as 2014, but on 8th January 2018 it revealed it was no longer accepting payments in the cryptocurrency for its products. Update: The ban appears to have been lifted and Microsoft is again accepting bitcoin. 3. A Bitcoin conference: In an irony that wasn’t lost to people on the sidelines of the crypto world, on 16th January 2018, the North American Bitcoin conference said that it wasn’t accepting bitcoin from attendees who wanted to purchase entrance tickets. The conference said that “network congestion and manual processing” influenced the decision to stop accepting payments in cryptocurrencies. 4. Stripe: Payments giant Stripe stopped accepting bitcoin on 24th January in what was seen as a major blow for the adoption of the cryptocurrency. “There are fewer and fewer use cases for which accepting or paying with Bitcoin makes sense,” Stripe said. It added that it had initially hoped that bitcoin could eventually replace credit cards, but that vision hadn’t quite materialized. 5. Reddit: Bitcoin had first become popular among tech geeks before going mainstream, but one of the biggest online platforms for the tech community has stopped accepting bitcoin. Just 3 days ago, Reddit said that it is no longer accepting payments in bitcoin. “The upcoming Coinbase change, combined with some bugs around the Bitcoin payment option that were affecting purchases for certain users, led us to remove Bitcoin as a payment option,” said a Reddit moderator. And even as bitcoin finds that some of its early adopters are backing out, it’s also being attacked on a whole different front. Several major social networks have decided to not allow cryptocurrency ads on their platform, dealing a blow to both bitcoin exchanges and new currencies which had hoped to promote their services. Social networks had been worried at the growing instance of scams being perpetrated in the name of cryptocurrencies. 1.Facebook: On 31st January 2018, Facebook said that it had banned all advertising for cryptocurrencies because they were“frequently associated with misleading or deceptive promotional practices”. 2. Google: On 14th March, Google said that it was banning ads for cryptocurrencies, ICOs, wallets and exchanges. The ban will come in effect from June. 3. Twitter: Twitter followed suit, banning ads for ICOs and token sales on 27th March. However, it said it would still allow ads for cryptocurrency exchanges and wallets from public companies that are listed on major stock markets. 4. Mailchimp: Even email service providers stepped in. Mailchimp, one of the world’s most popular services for sending mass mails, said it was banning cryptocurrency ads to prevent “scams, fraud, phishing, and potentially misleading business practices” on its email distribution platform. To make matters worse for bitcoin, it’s had a pretty bleak quarter as well. As of writing, it trades as $6,900, a full 65% lower than the high of $20,000 it had touched in December last. Bitcoin is no stranger to large falls — in its relatively short history, it has seen several crashes, but has managed to always bounce back. 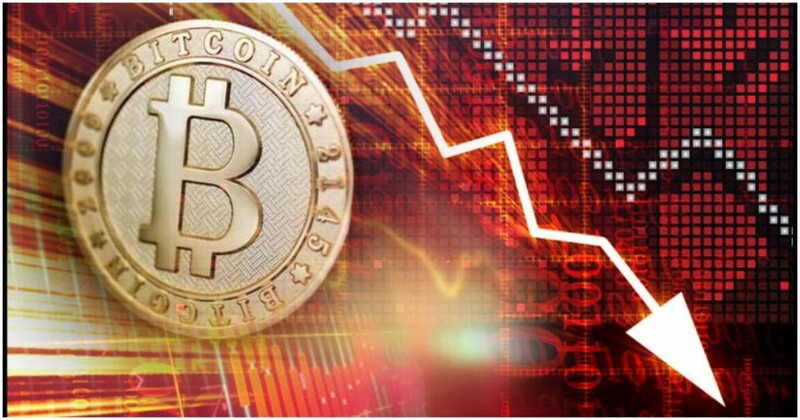 But this latest crash is bitcoin’s most public crash yet — thanks to its meteoric rise in the months preceding it, bitcoin had the world’s eyes trained on it, and at least in the first few months of its new-found fame, it hasn’t quite stood up to the increased scrutiny.